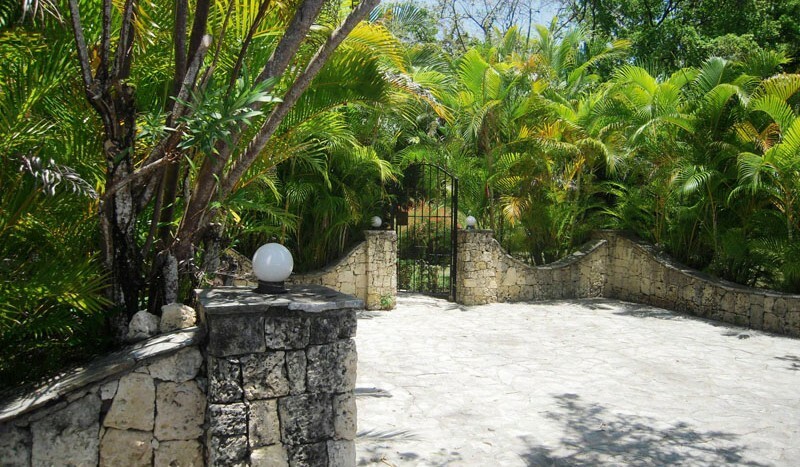 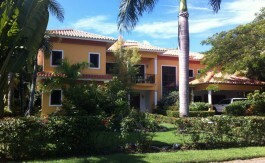 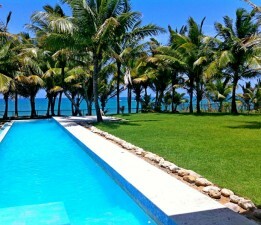 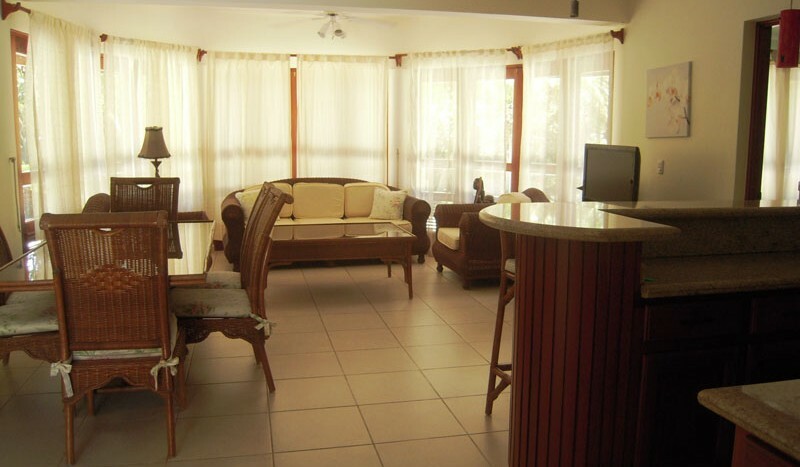 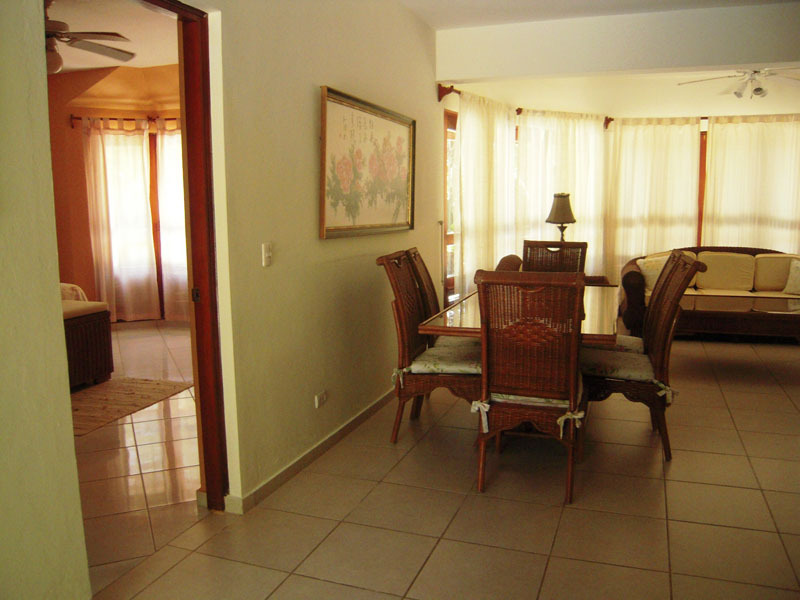 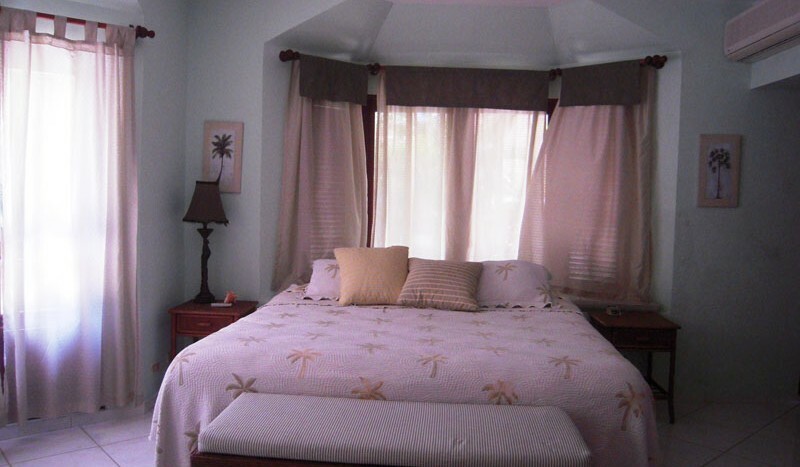 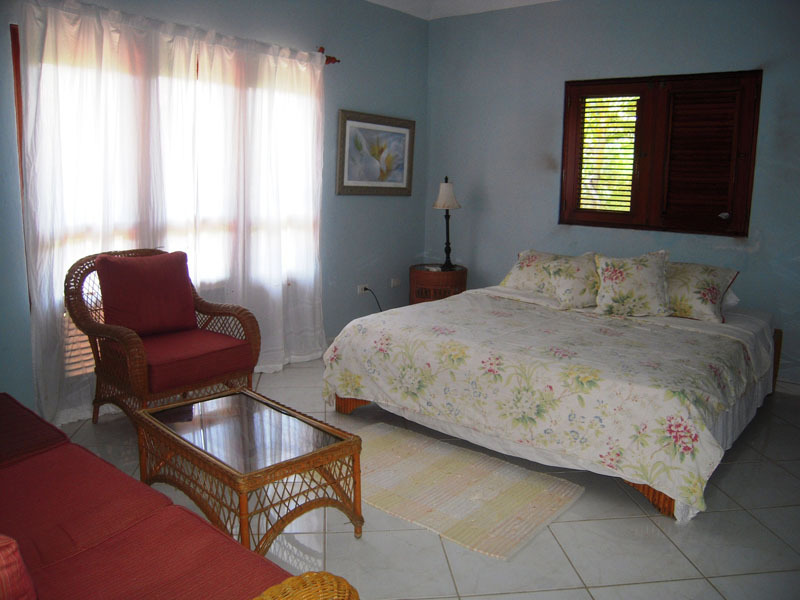 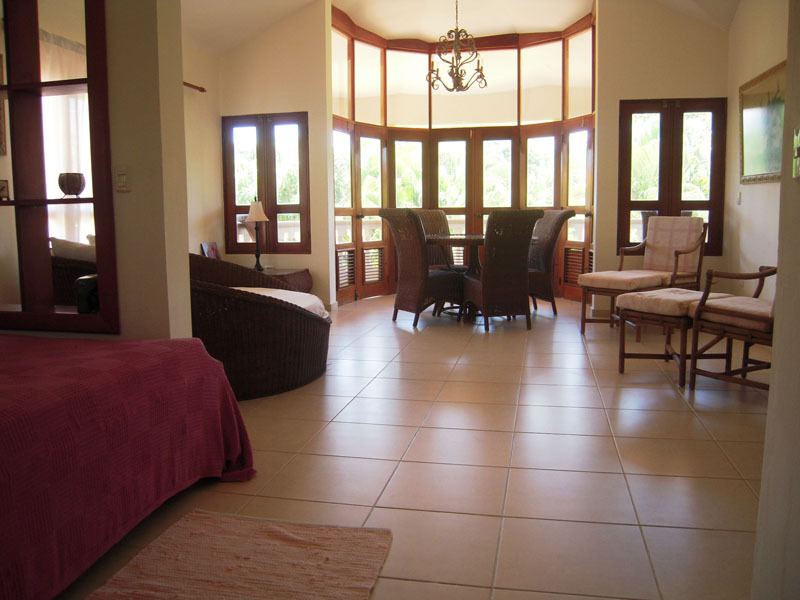 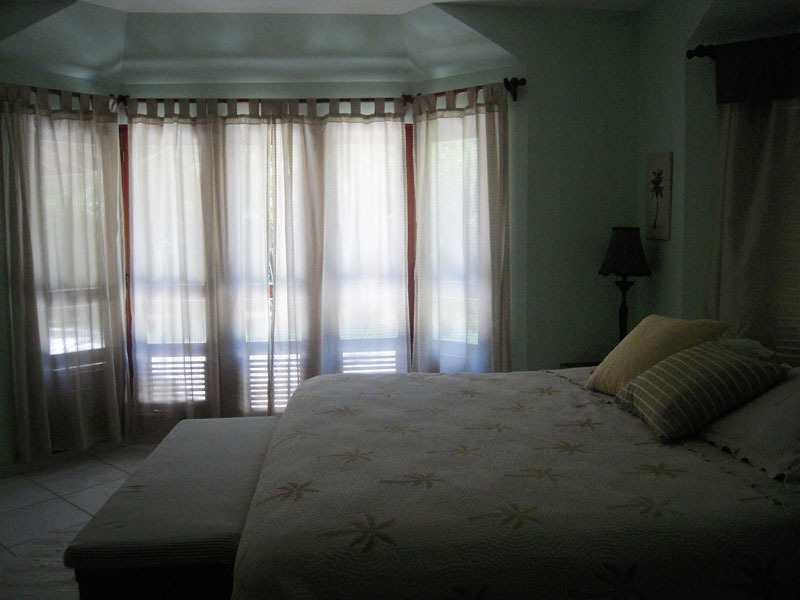 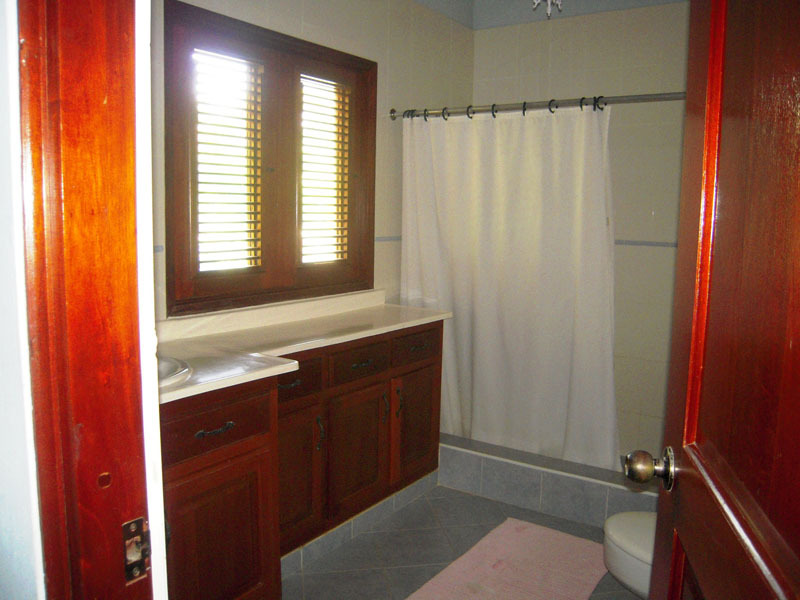 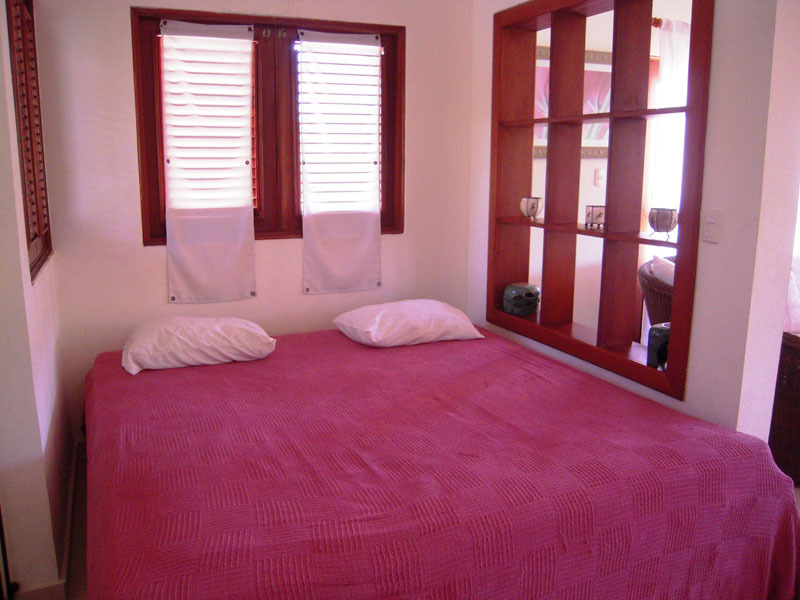 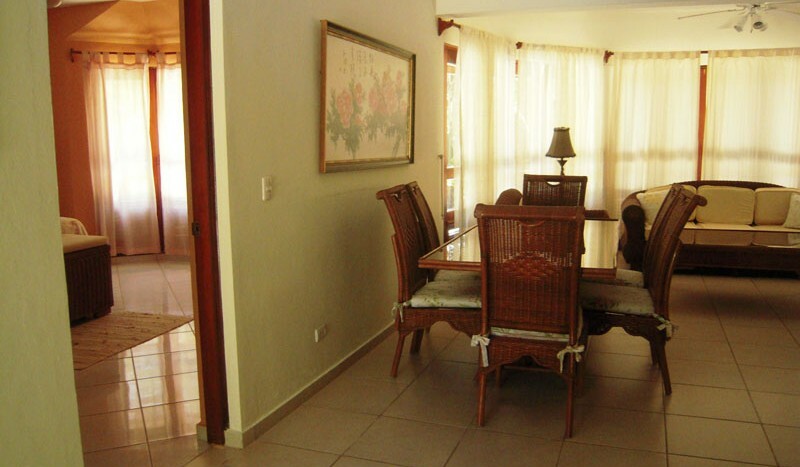 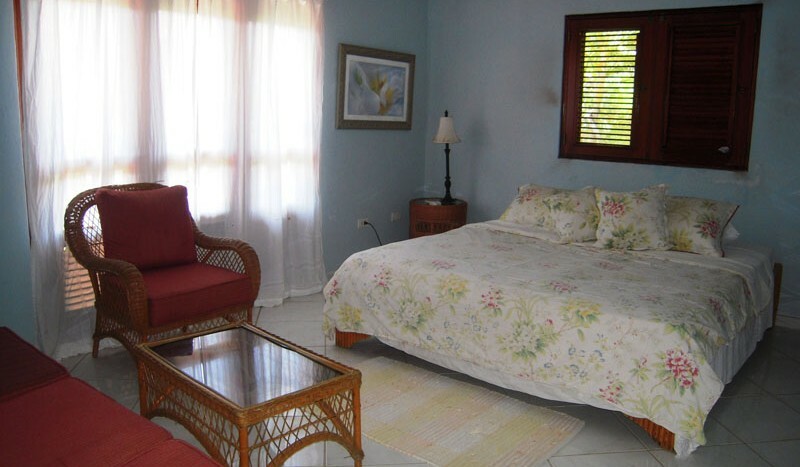 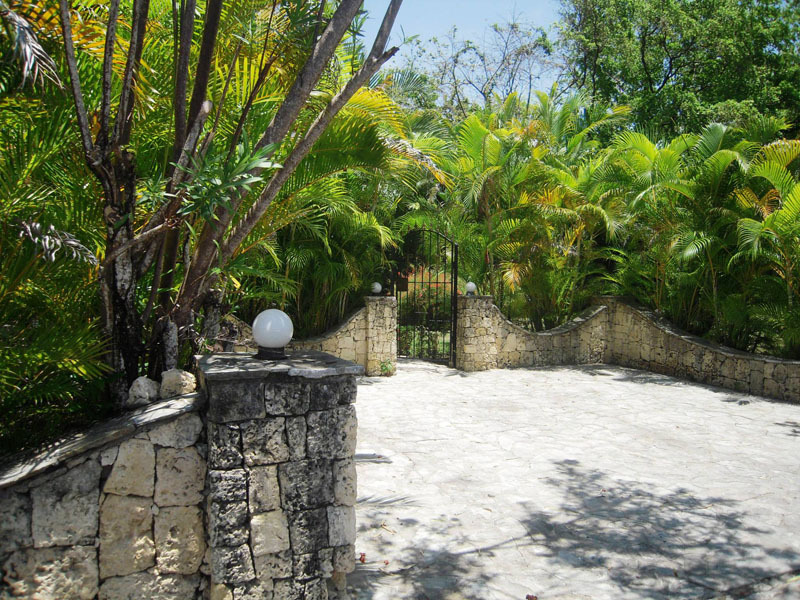 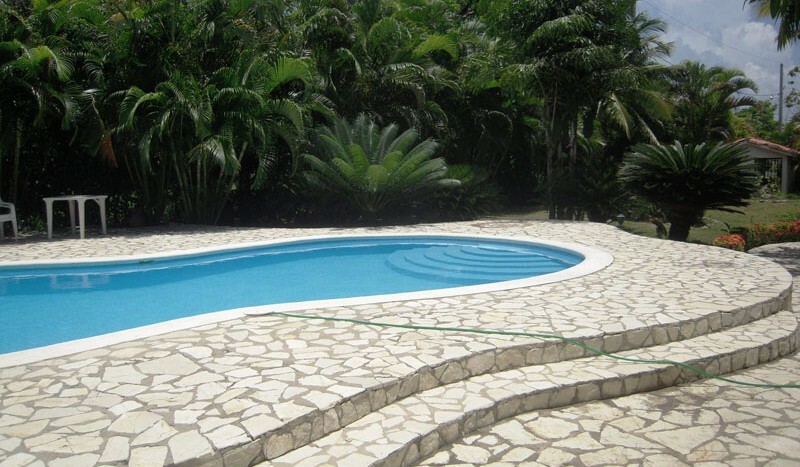 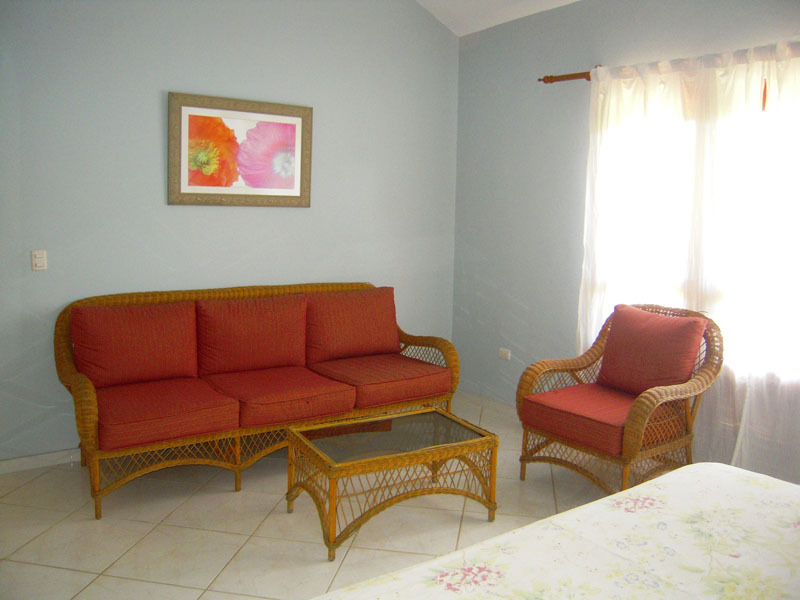 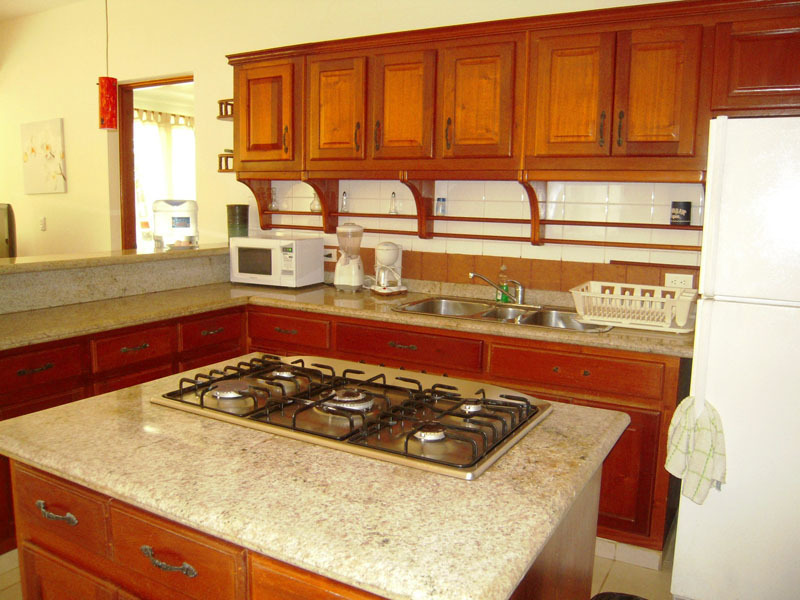 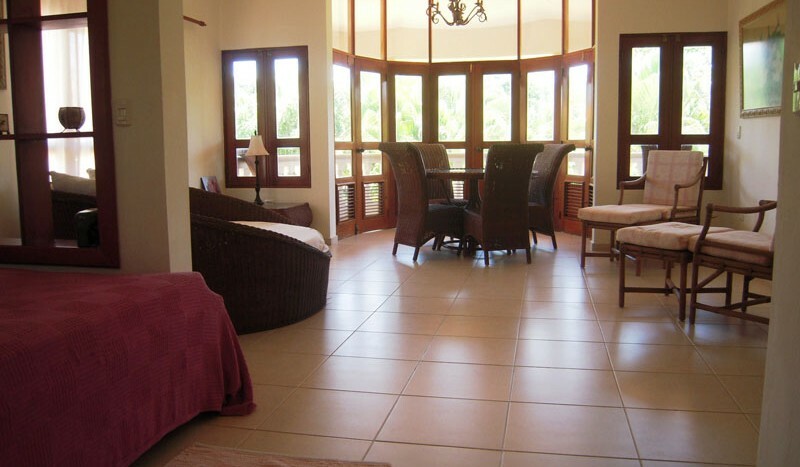 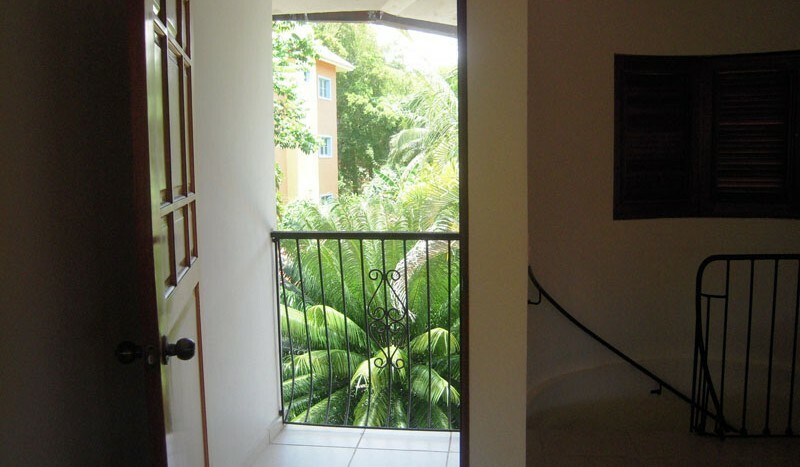 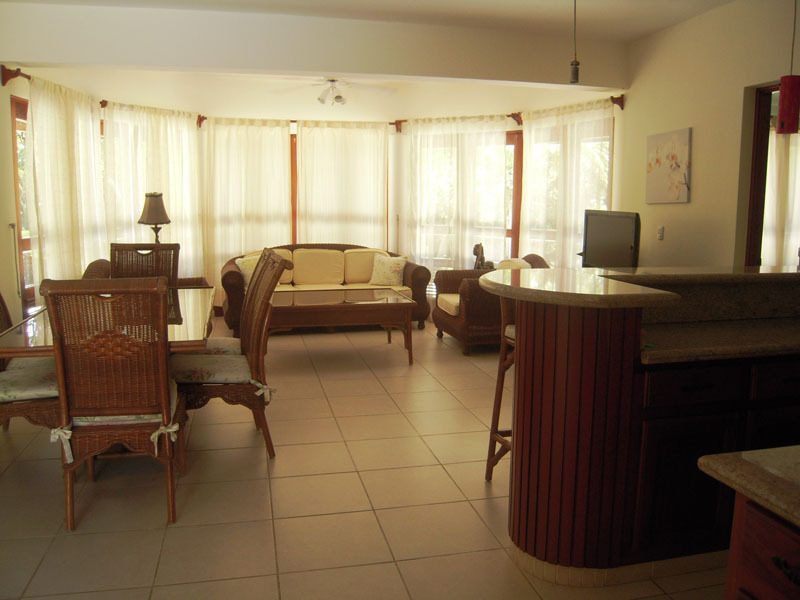 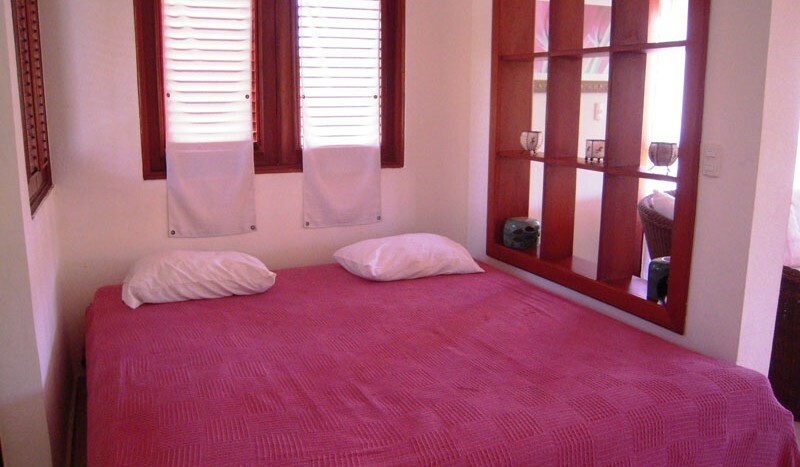 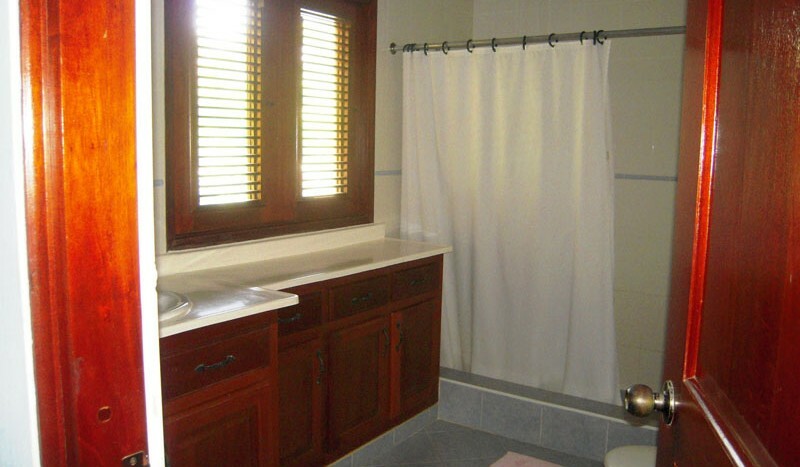 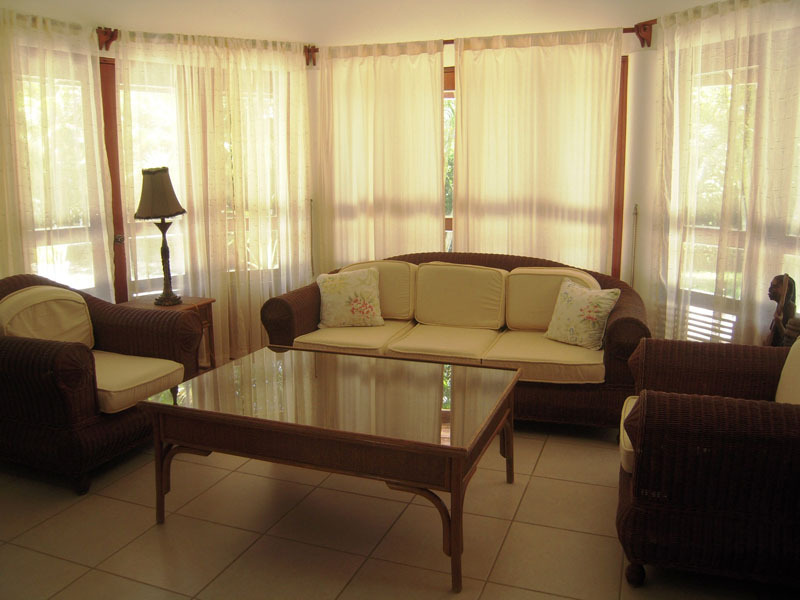 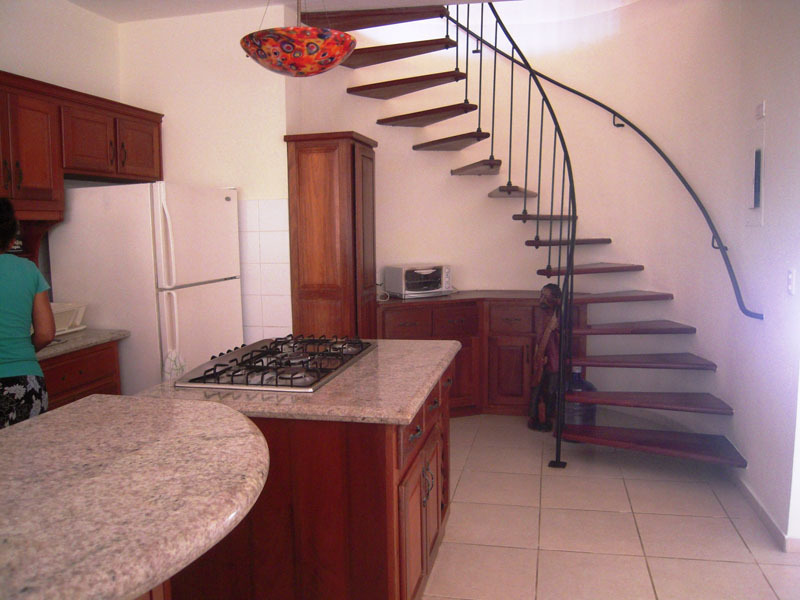 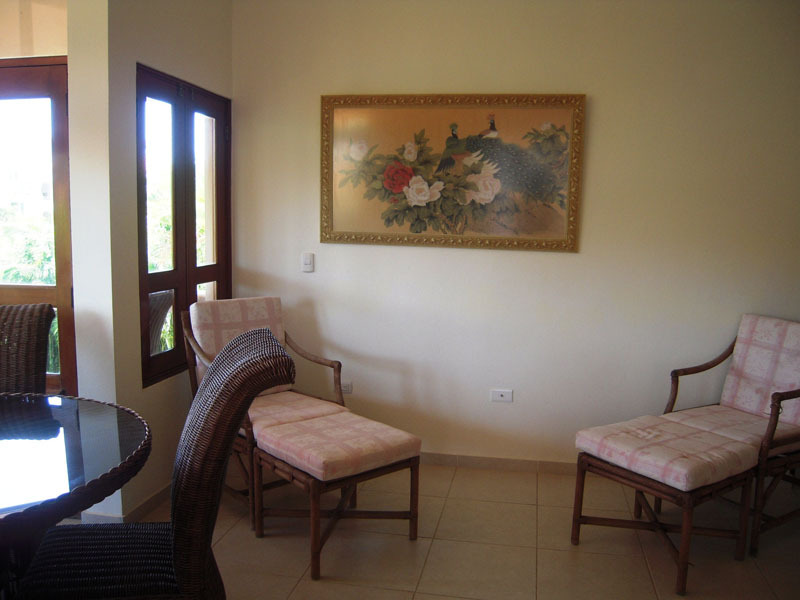 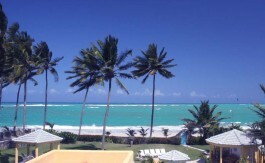 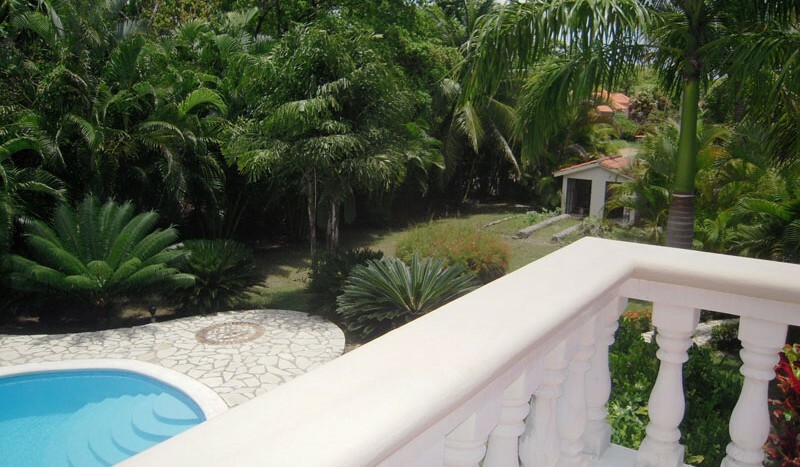 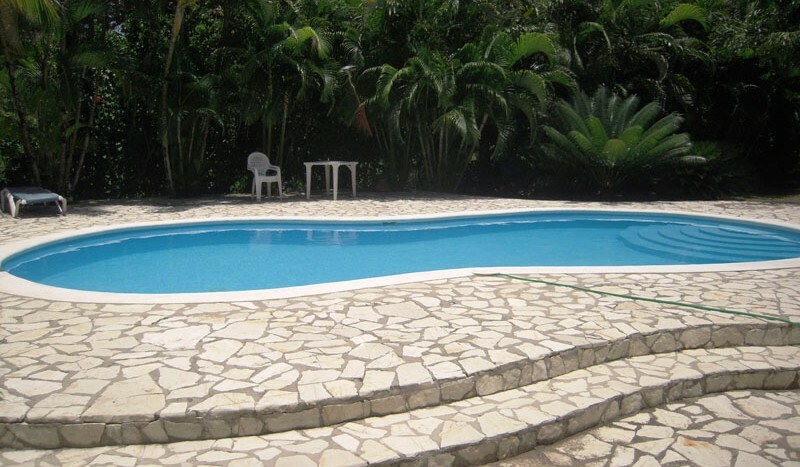 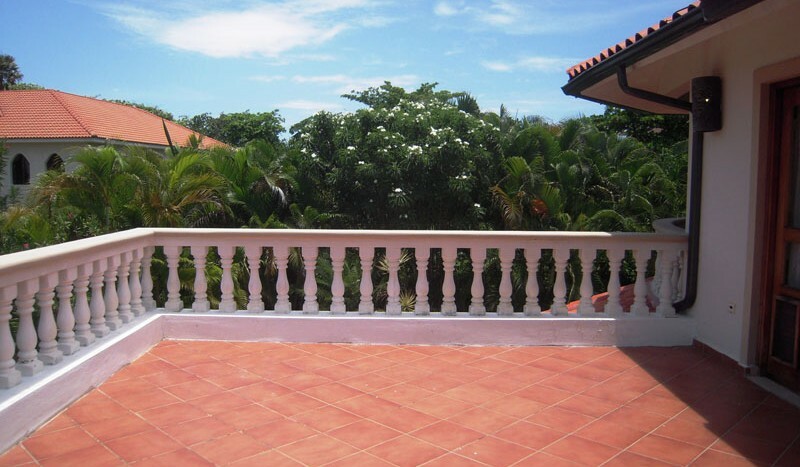 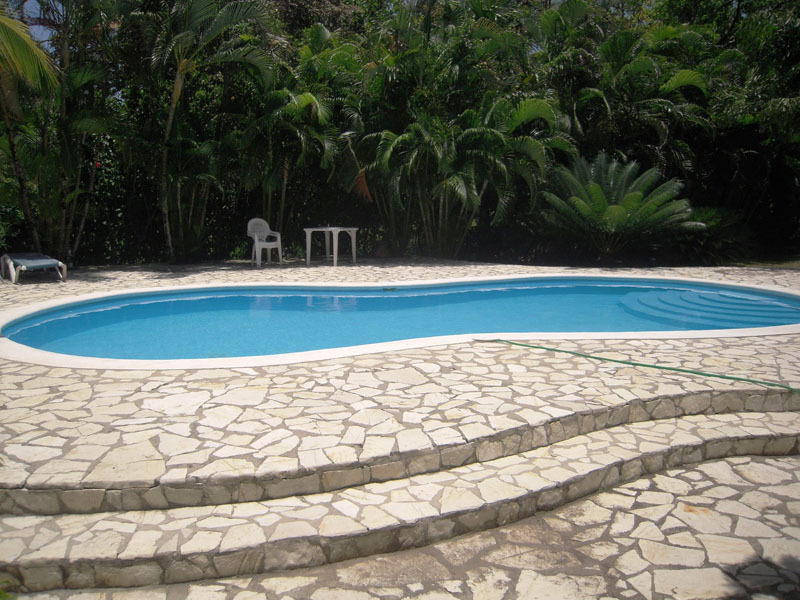 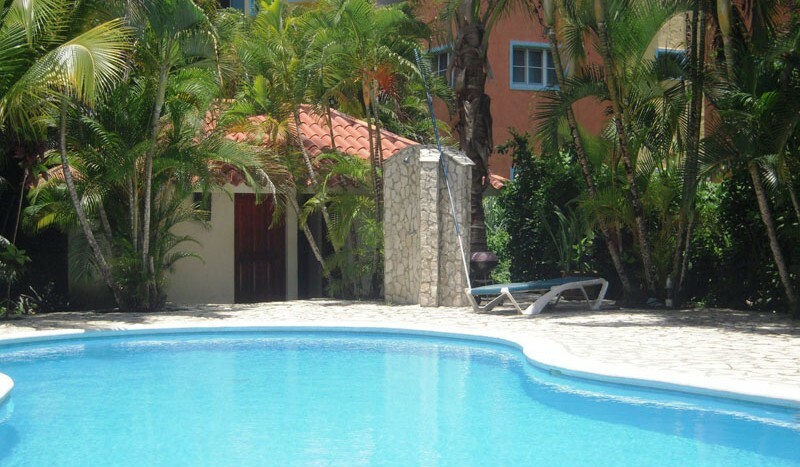 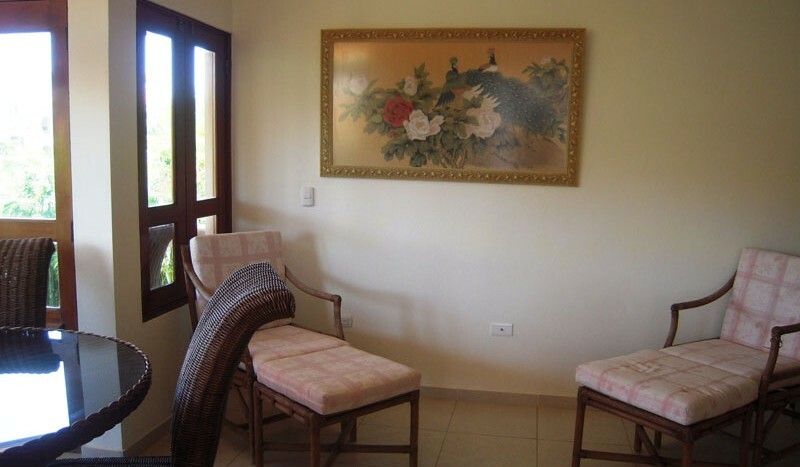 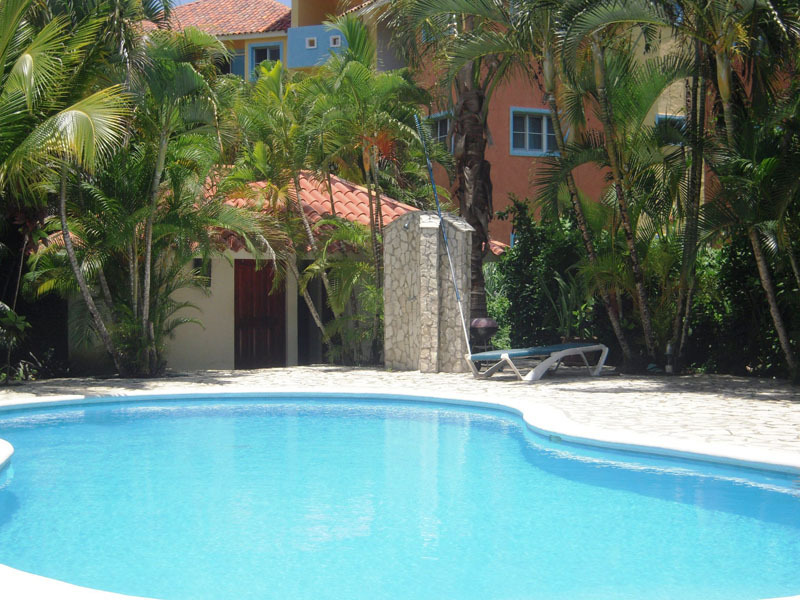 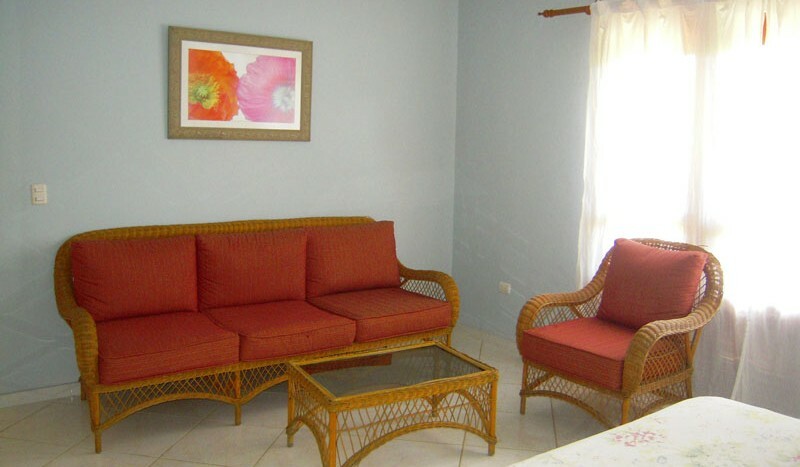 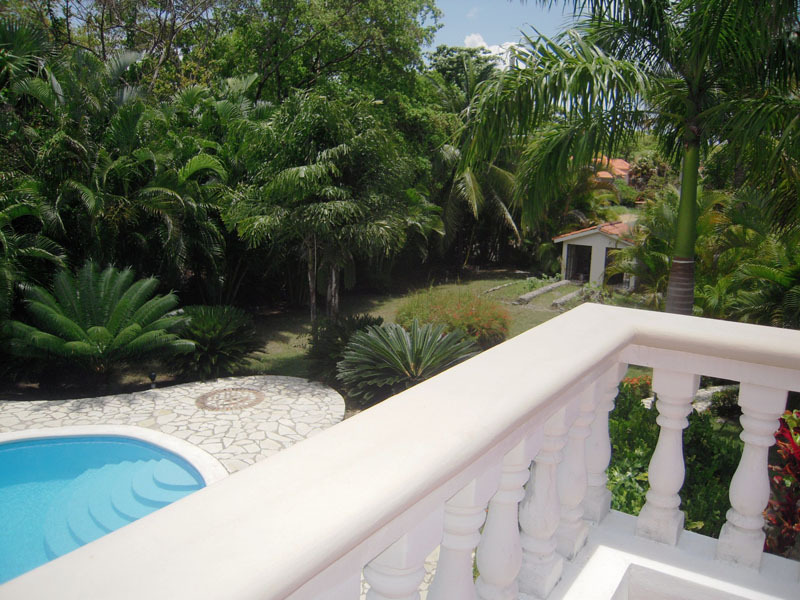 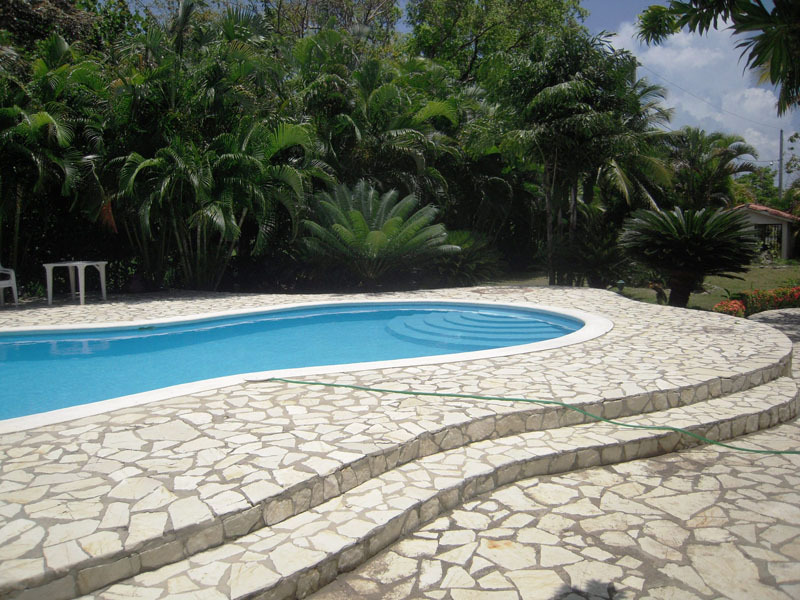 This three bedroom / 3 bath villa is conveniently located between Cabarete & Sosua. 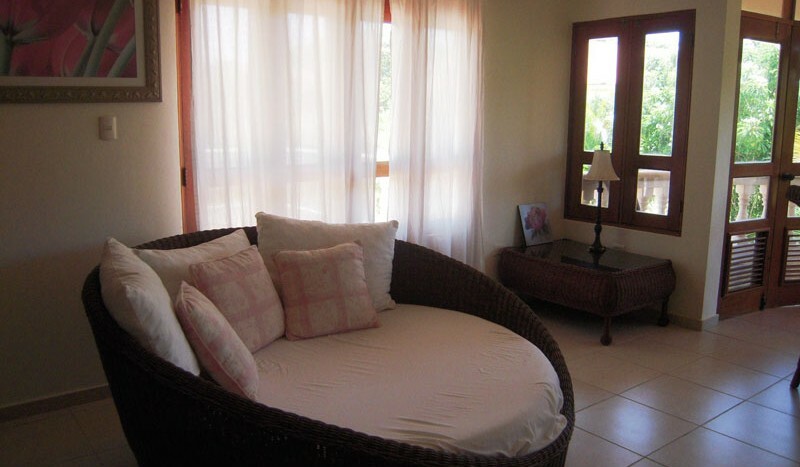 The main floor consists of two large bedrooms each with a king-sized bed and en-suite bathrooms. 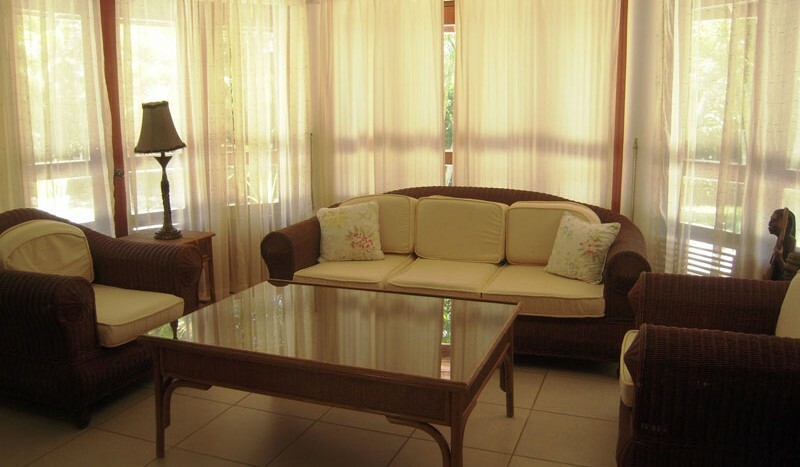 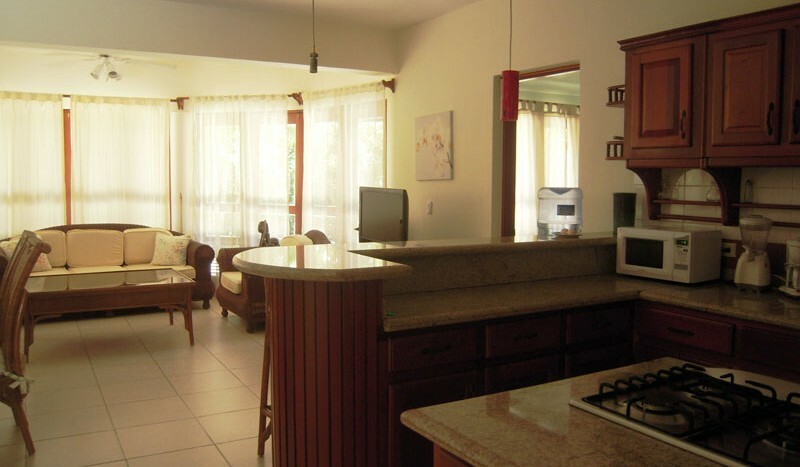 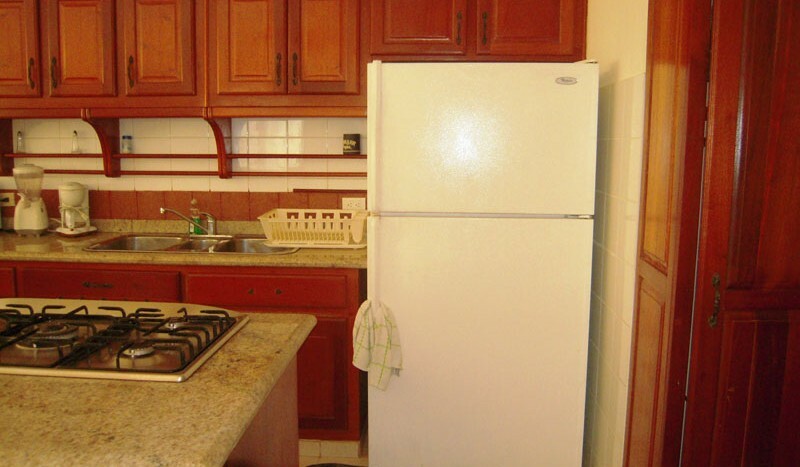 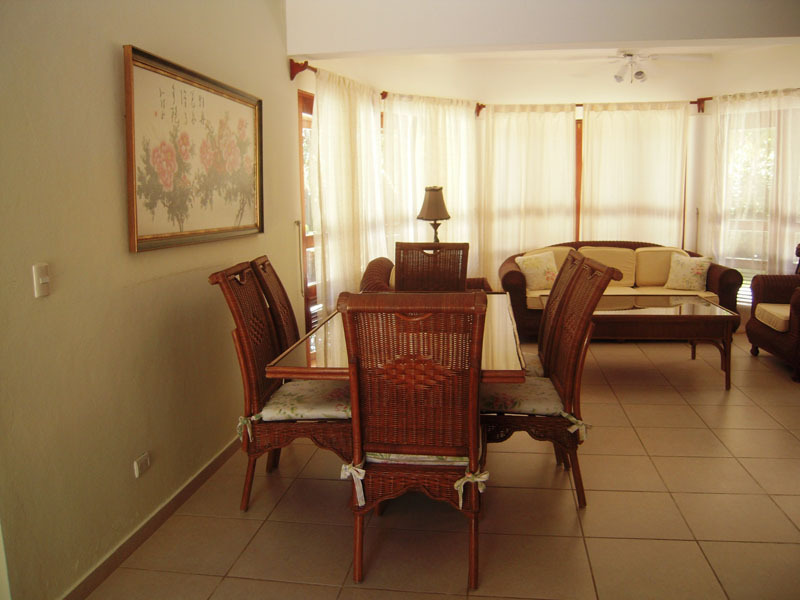 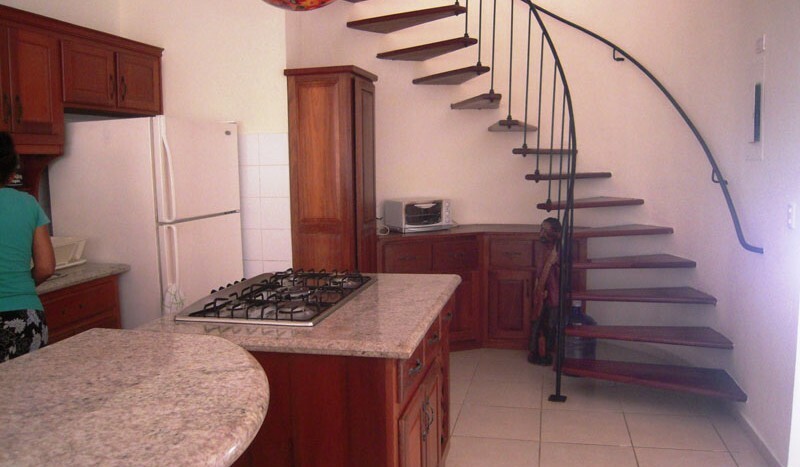 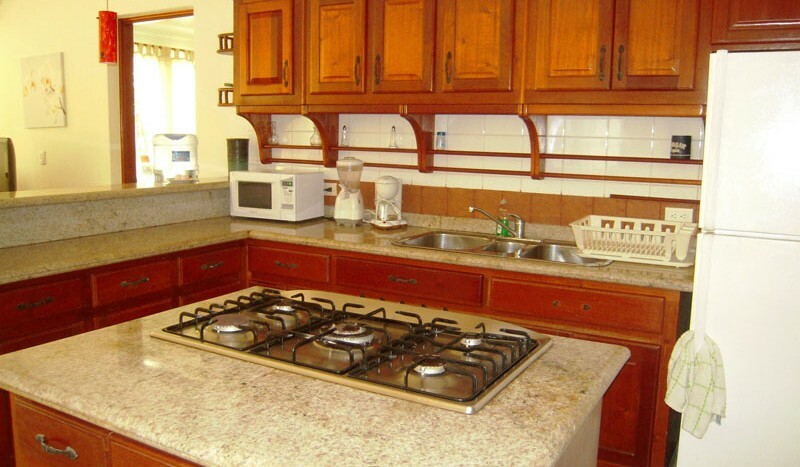 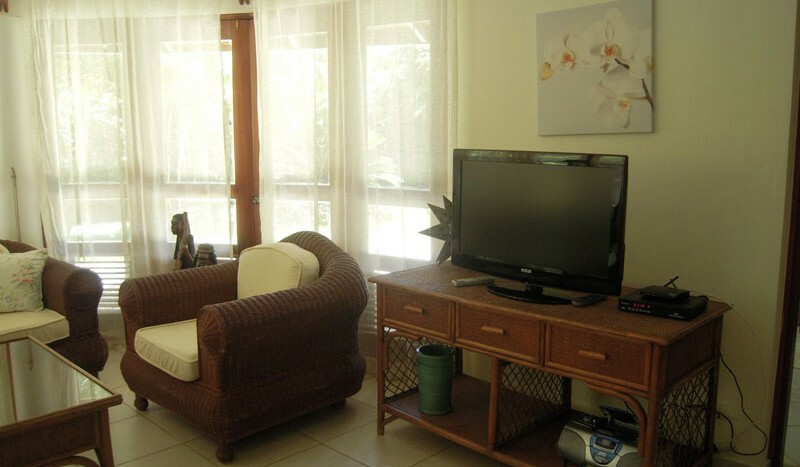 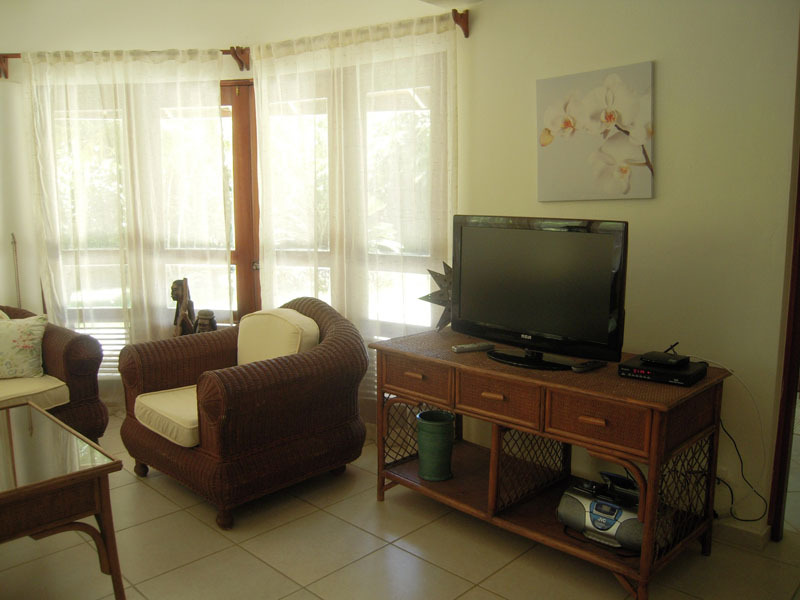 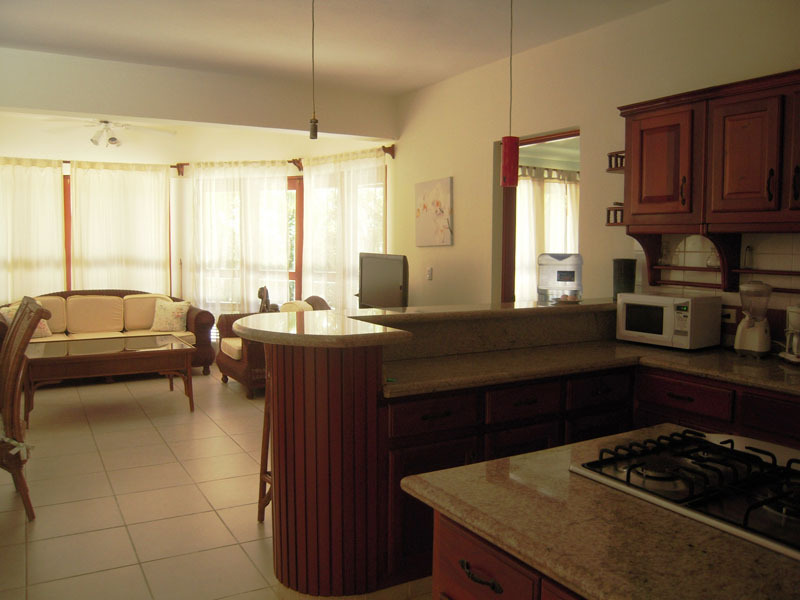 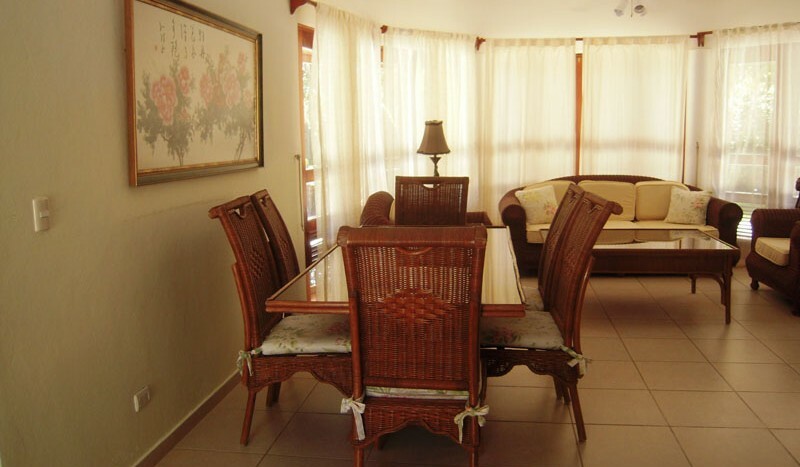 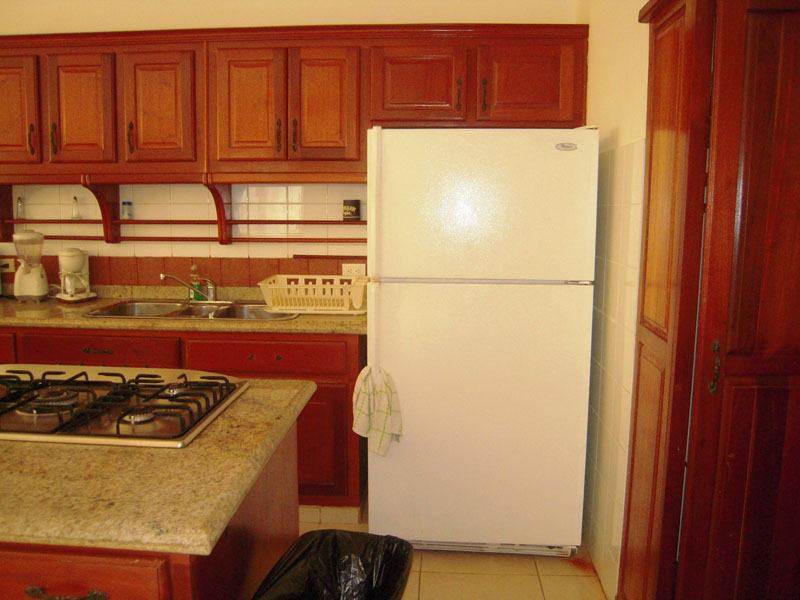 There is also a well-equipped kitchen, dining area and spacious living room. 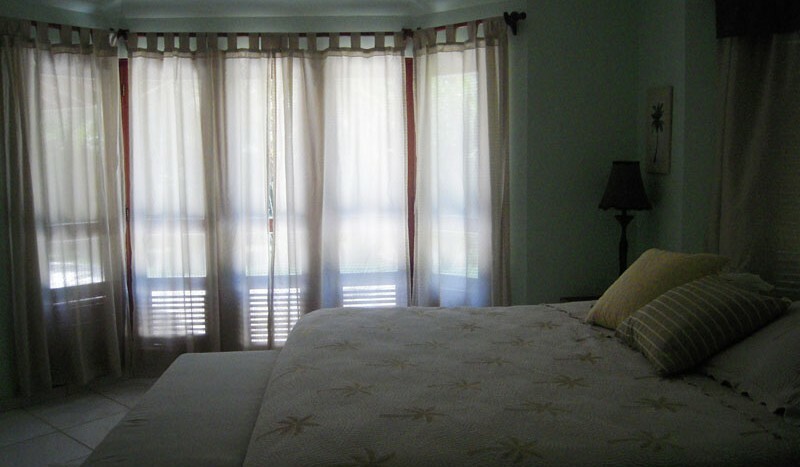 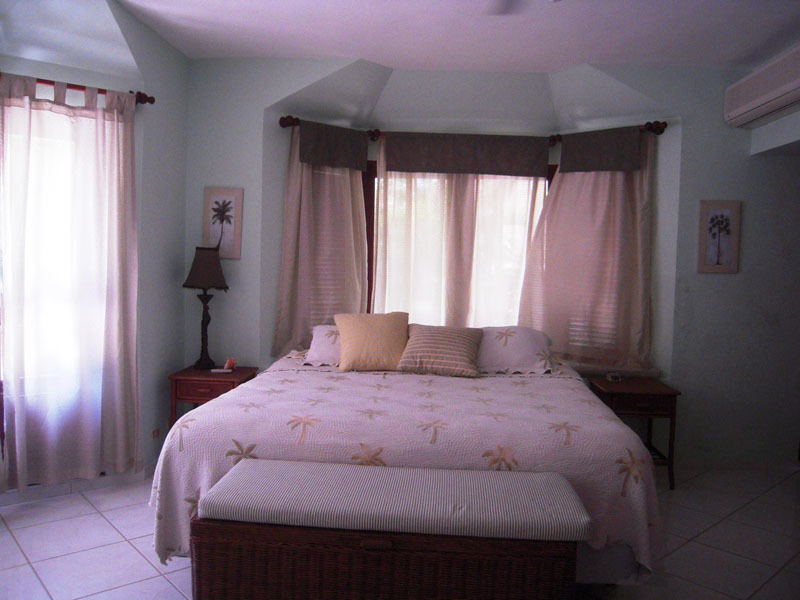 Upstairs is a large, third bedroom with a king sized bed and en-suite bathroom. 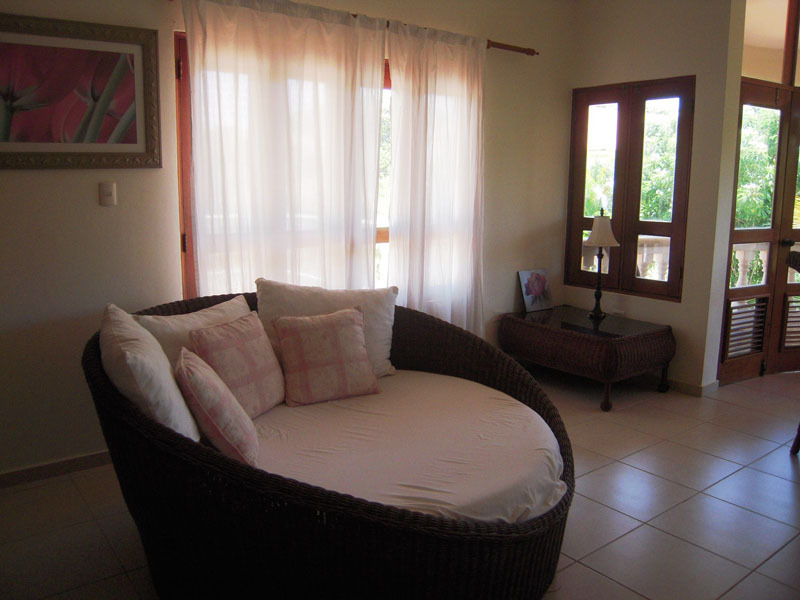 The main area upstairs has a fourth bed for any larger groups as well as a sitting area. 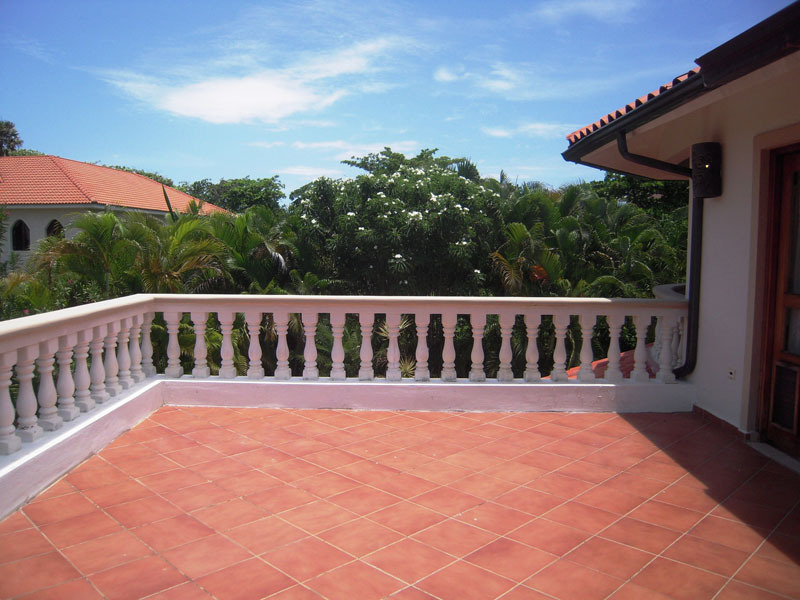 There is an outside sunning deck that is accessible from the second floor. 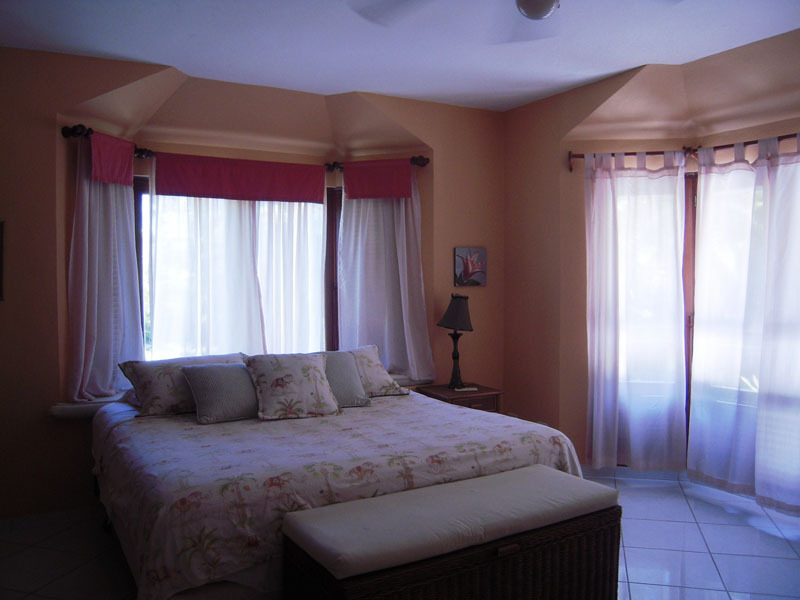 All three bedrooms have A/C. 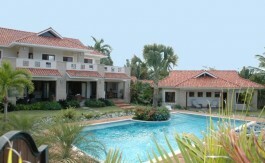 A large free form pool with plenty of deck space completes this villa. 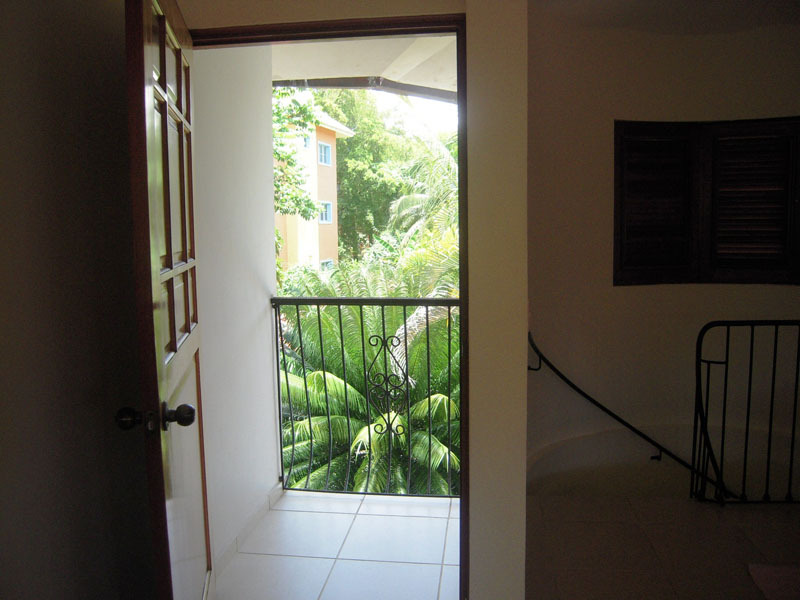 A short one-minute walk will bring you directly to the beach.